Resident directors Dr. Joe Campbell and Mary McLaughlin will hold information sessions for the Sustainable and Resilient Tanzanian Community study abroad program. Students will have the opportunity to contribute to the long-term sustainable development of a rural Tanzanian community through applied service-learning focused on improving water access and quality. 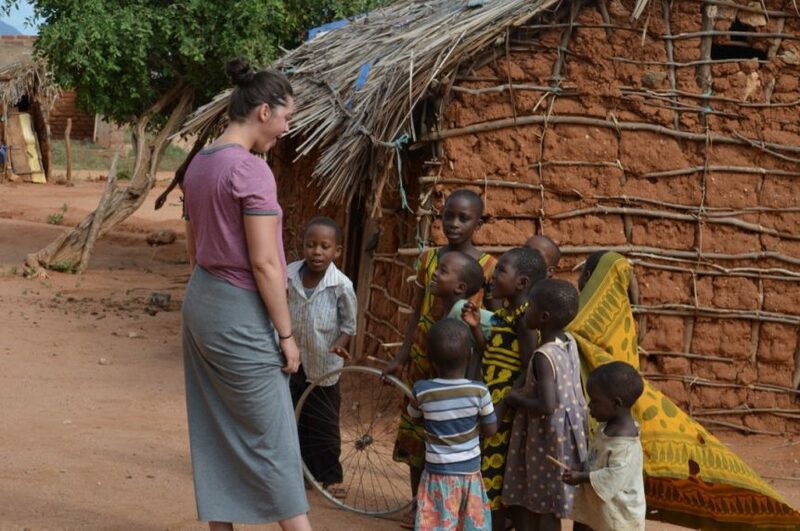 Image: An Ohio State student working with villagers during a 2016 trip to the SRTC partner village. Courtesy of Tony Duke.